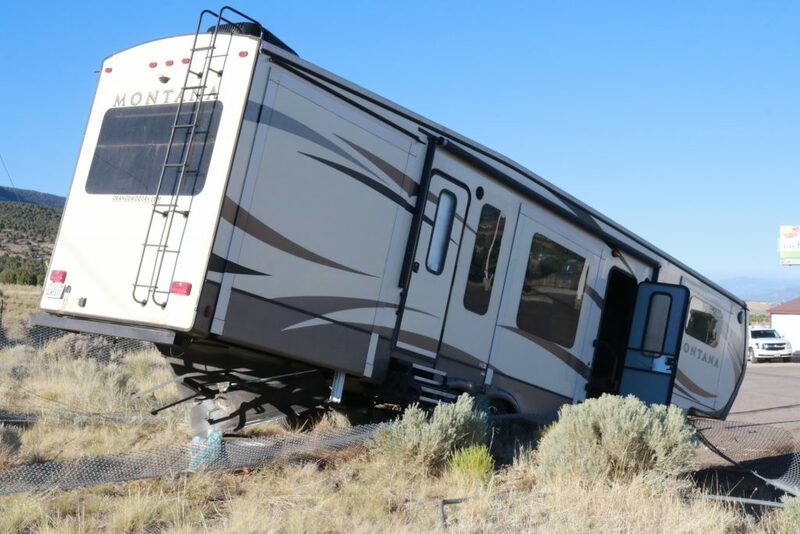 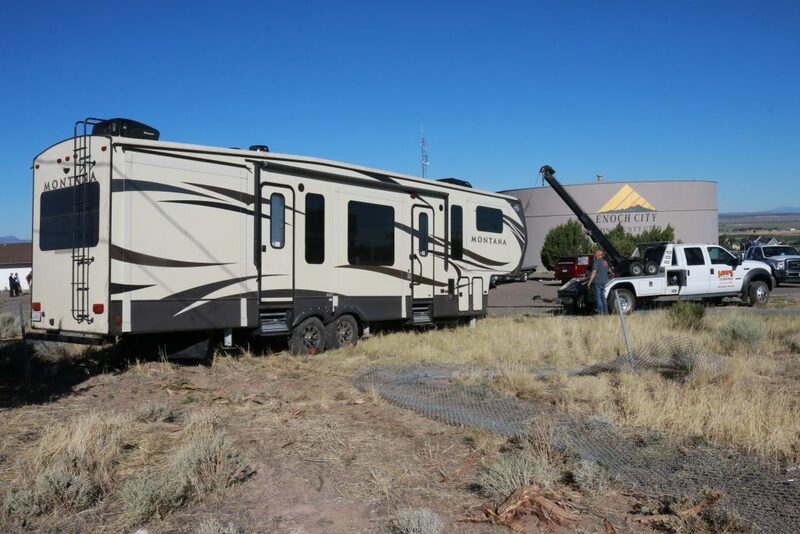 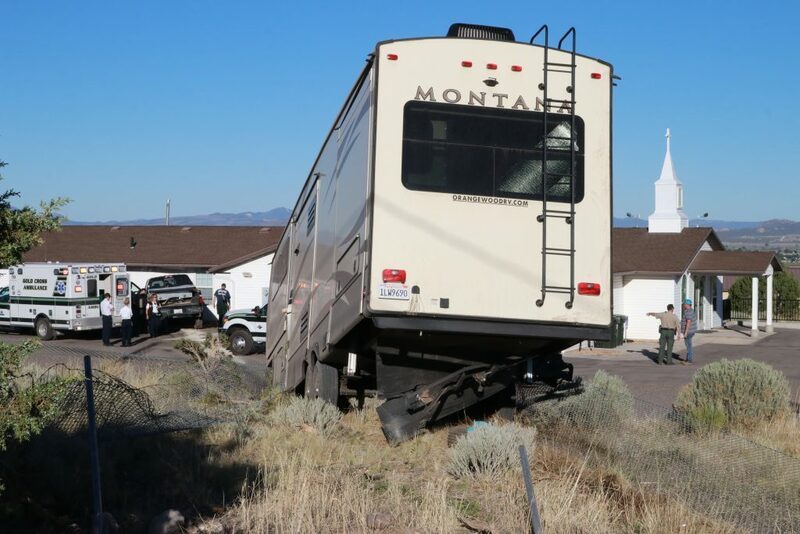 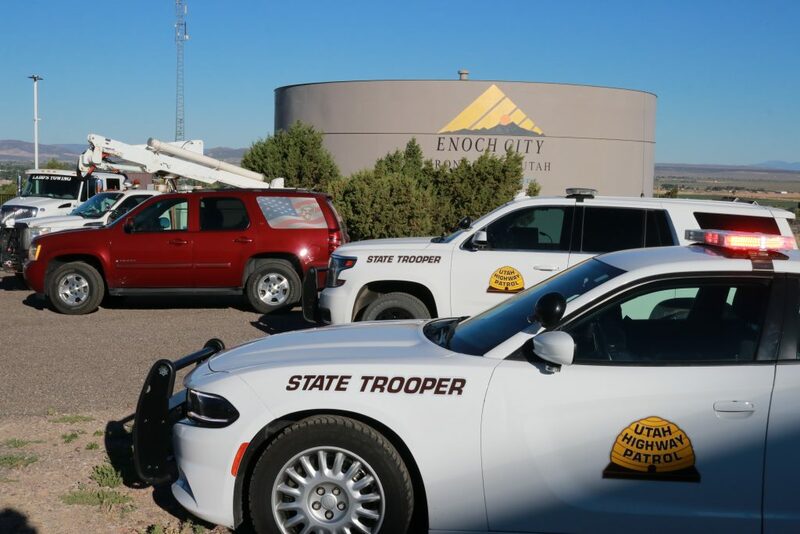 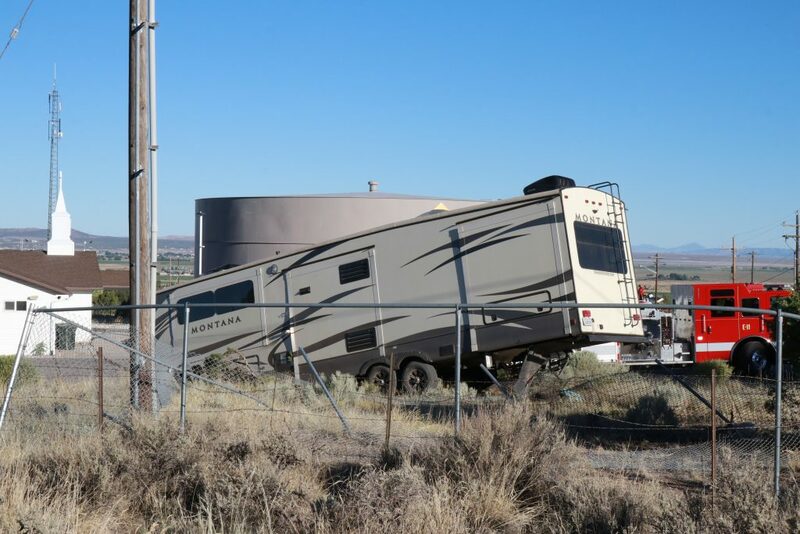 ENOCH — A pickup truck pulling a fifth-wheel trailer went off the side of Interstate 15 Sunday morning and crashed through a fence and into a church building. 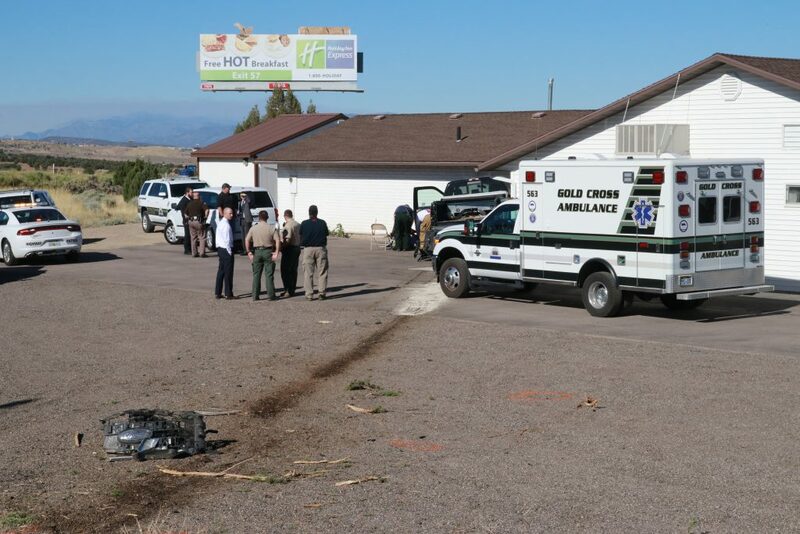 The male driver, who police say may have suffered a medical condition, was pronounced dead at the scene. 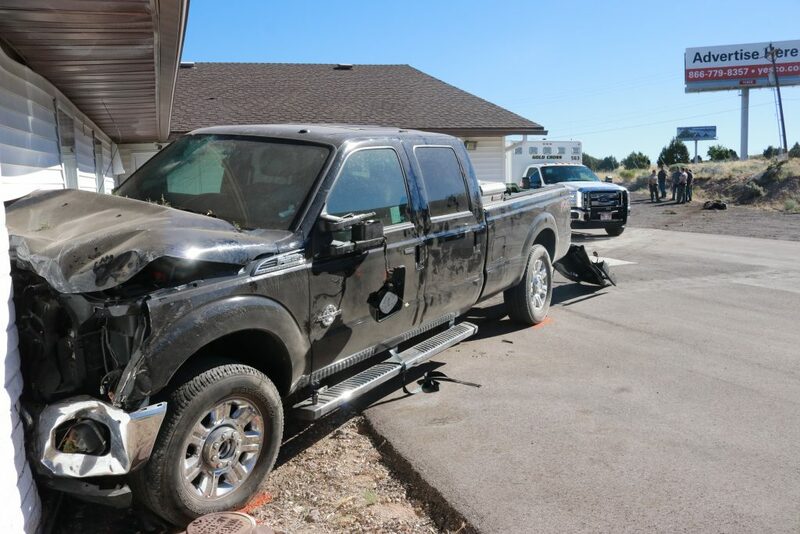 Utah Highway Patrol Trooper Brian Bairett said responders were dispatched to the incident at approximately 6:50 a.m.
Responders performed CPR on the driver shortly after their arrival. 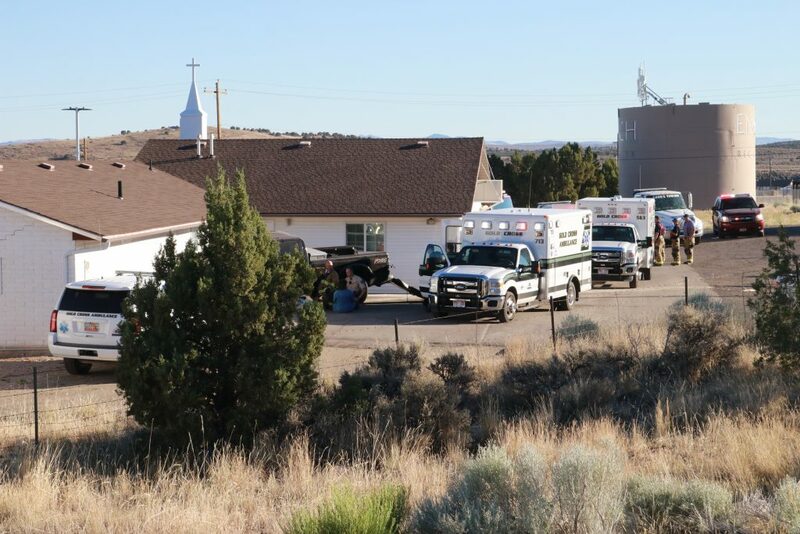 “Medical personnel worked on him for quite some time, but he was pronounced dead at the scene.” Bairett said. 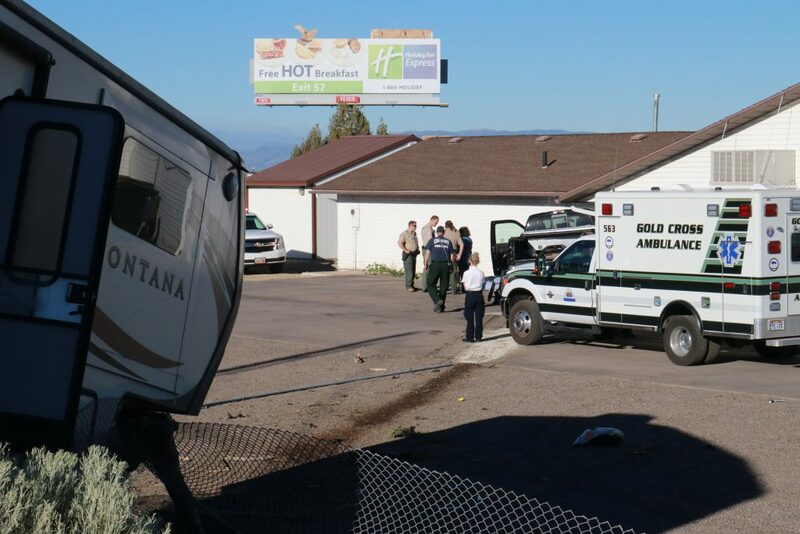 “It appears that the driver possibly had some sort of a medical condition,” he said, adding that investigators won’t know for certain, pending an autopsy report from the medical examiner. 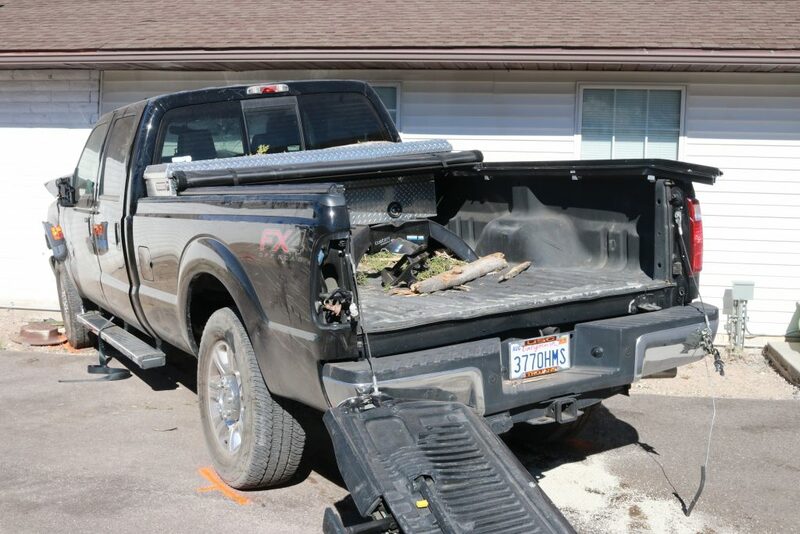 The man’s body was removed from the scene shortly after 9 a.m., more than two hours after the crash. Two other passengers in the truck – the driver’s wife and daughter – escaped injury, Bairett said. 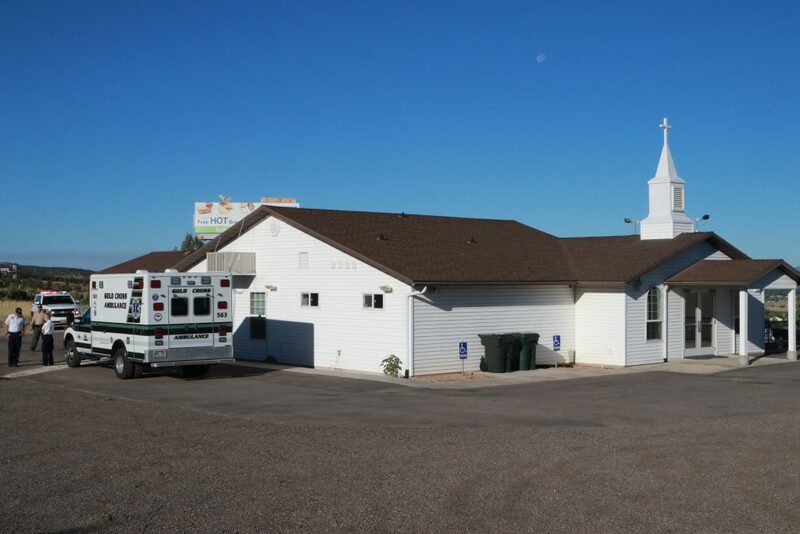 The church building was unoccupied at the time of the incident. 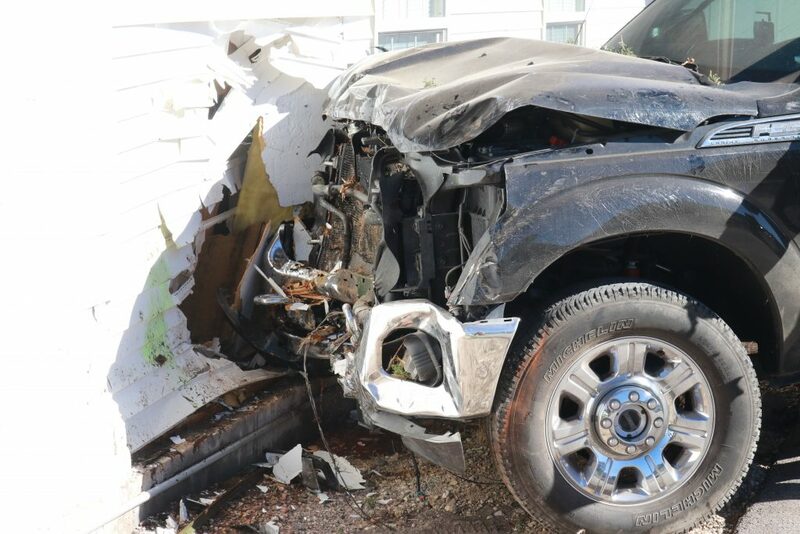 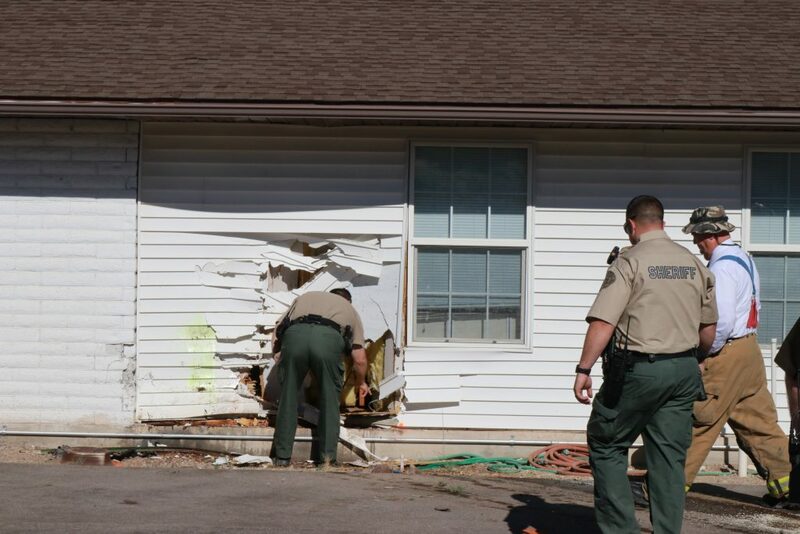 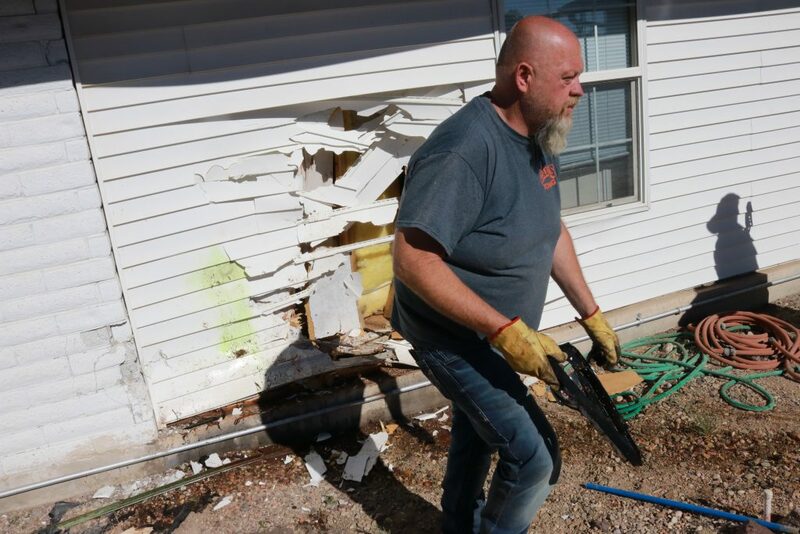 The truck impacted the exterior wall of the building’s resource room but narrowly missed rupturing a natural gas line and other utility fixtures, Pastor Tom Jeffcott said, adding that Sunday services have been canceled today and that church members had been notified by email and phone. 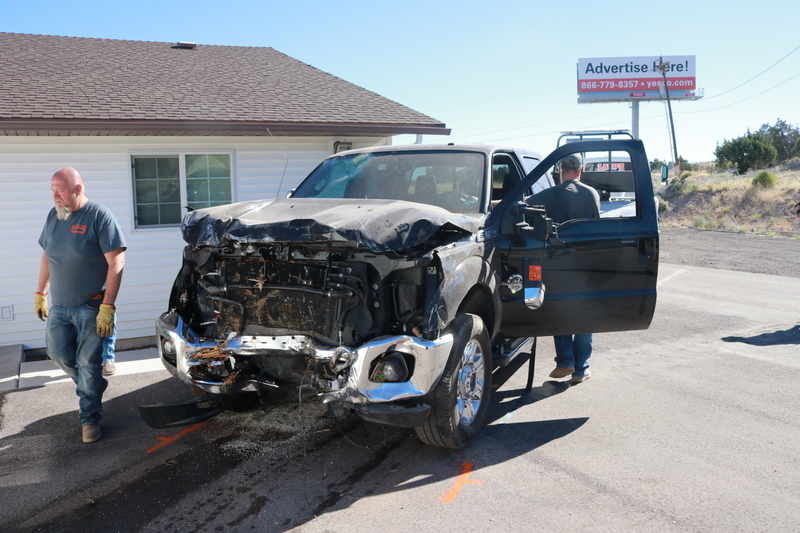 Both truck and trailer, which had California license plates, were heavily damaged and were towed from the scene. 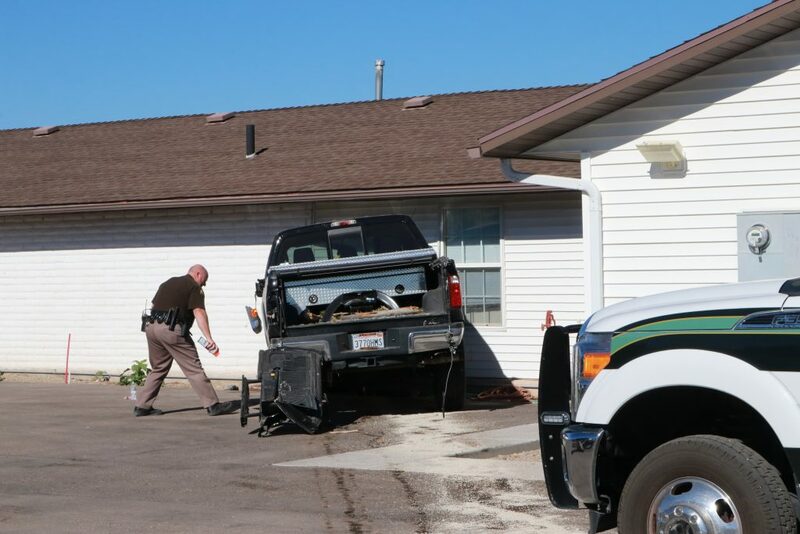 At the time of the writing of this report, the driver’s identity had not yet been released by authorities. 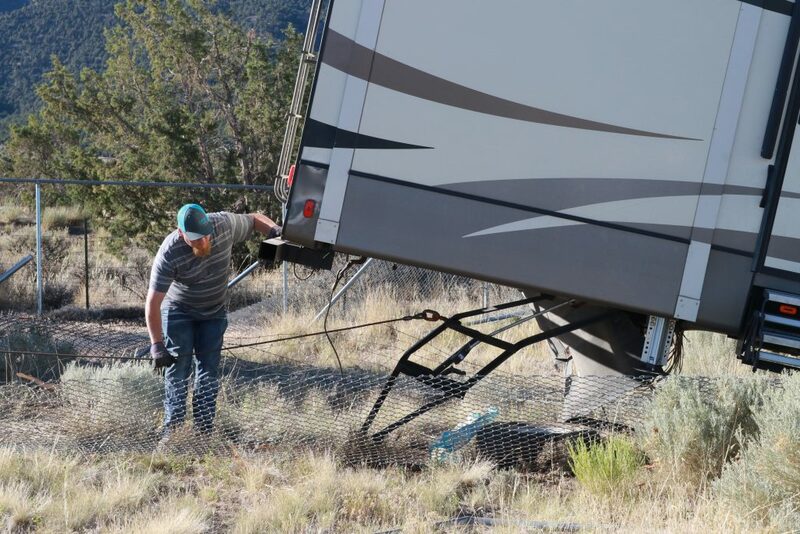 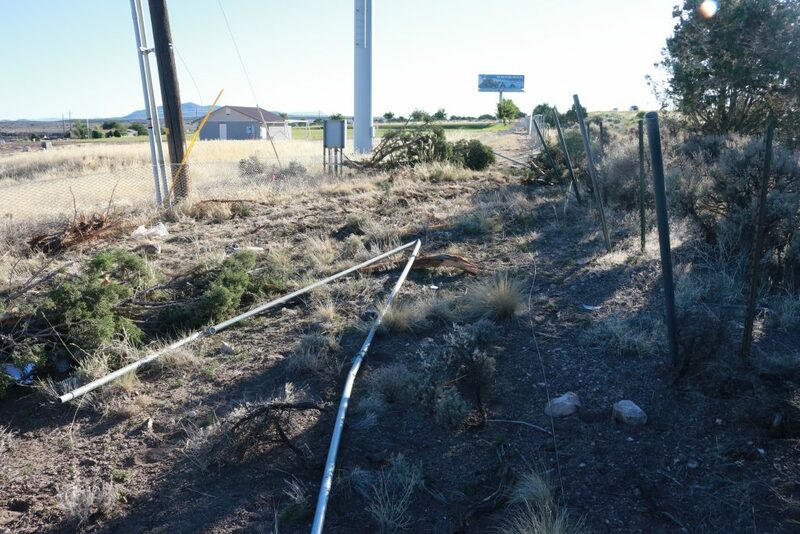 Dozens of yards of chain-link fencing was ripped out and damaged in the accident. 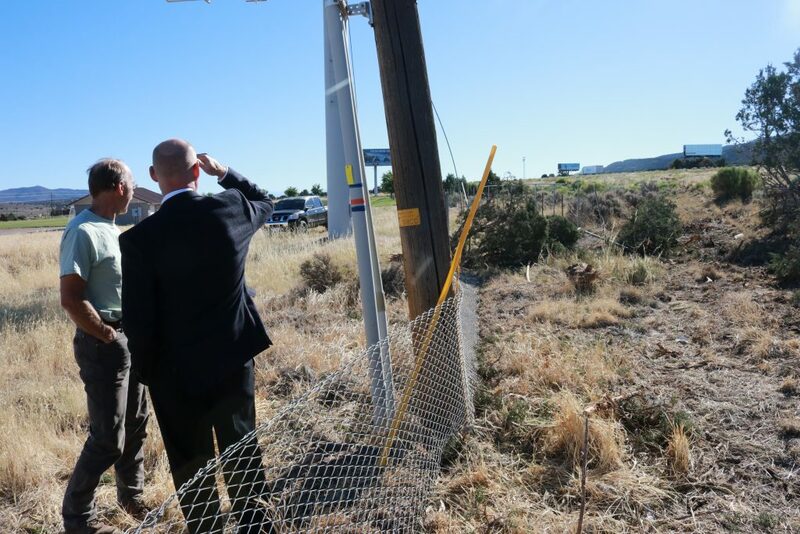 Enoch City Manager Rob Dotson said at the scene the city owns and maintains the fences, which are adjacent to the freeway and near the city-owned water tank. 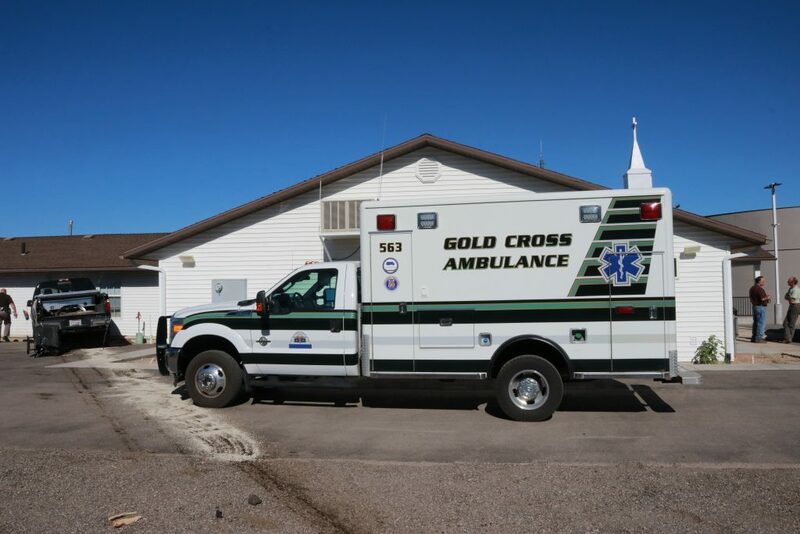 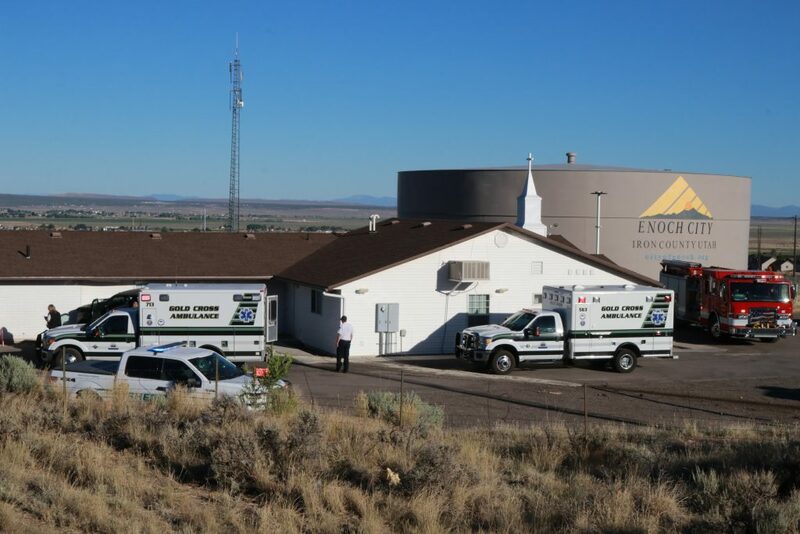 Southbound traffic on the interstate was not significantly impacted during the incident, as emergency vehicles were moved around to access the scene via a nearby frontage road leading to the church’s parking lot.